Designed using the latest digital technology and low-voltage broadband pulse transmission. While principally designed for full-pipe clean liquid applications. The instrument is tolerant of liquids with small amounts of air bubbles or suspended solids found in most industrial environments. Less hardware components, low voltage broadband pulse transmission, low consumption power. Clear, user-friendly menu selections make flowmeter simple and convenient to use. Daily, monthly and yearly totalized flow. Parallel operation of positive, negative and net flow totalizes with scale factor (span) and 7 digit display, while the output of totalize pulse and frequency output are transmitted via relay and open collector. Analog output: 4 ̴20mA, max load 750Ω. We "iAdept Marketing", established in the year 2002, are serving our customers by wholesaling, trading, exporting and supplying a high-quality Electronic Equipments. Offered products range consists of Thermal Imaging Camera, Vibration Analyzers / Data Collector, and Bearing Condition Monitoring Instruments. Production materials for these products are provided by the certified vendors of the industry who are famous for their quality approved material. Providing complete solutions to various industrial sectors regarding predictive maintenance, these products are used for monitoring the condition of machinery on various parameters. 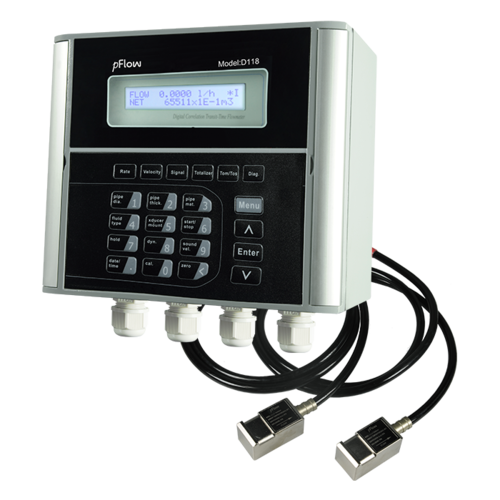 The condition monitoring systems allow the users to take appropriate steps for avoiding the consequences of failure, consequently resulting in cost-saving and downtime minimization. We are trading in Benstone, Icon Research, Monarch Instrument. To design the offered products as per the set industry guidelines, we have developed sophisticated infrastructure facility at our premises. Our professionals selected through industry approved selection procedures. Further, for hassle-free execution of all our business related tasks, we have segmented our infrastructure facility into various operating units. Our experienced personnel maintain the entire product range in a systematic manner. We are able to deliver all the offered products on time, as we have developed a wide distribution network. Along with this, we have huge clients across the nation. We are exporting globally.